Here is photo collage to sum up the rest of 2012. 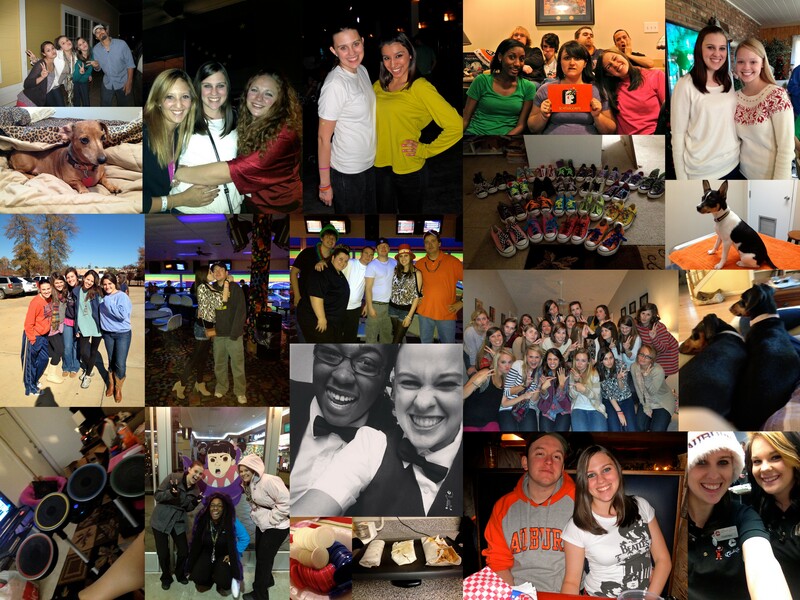 It was filled with reuniting with old friends, going out, game nights, visiting family, work, poker, doggies, training with the Cohort, a kitchen gadget engagement shower, work on Christmas, a horrible attempt at burrito making, Rock Band, and my last day at the theater. I ended the year with twenty-three pairs of Chuck T’s, and brought in the new year by bowling with Chris and friends. I’m not quite sure which attempt number this is, but here goes yet another for a blog. I honestly really enjoy blogging. I mean, I document everything that is humanly possible to document in some way, e.g., videos, photos, quotes, Facebook check-ins, so I’m not sure why it’s so hard for me to keep up with writing a blog. So, with my passion for documenting life, I am trying once again. This time around won’t be as much like my previous blogs. Hopefully I can add a little more incite on life here. Or just randomly update on how my life is going, which is more likely to happen. But, hey. I’m trying, aren’t I? So here’s to giving things another go! Wish me luck! 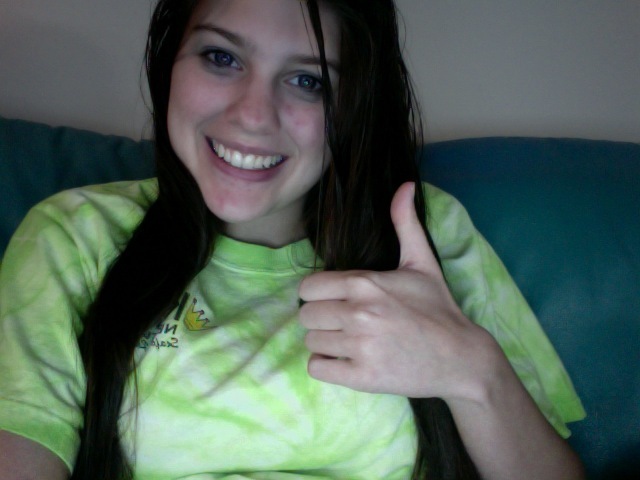 Yay, for wet hair and lazy days. P.S. Eight inches of this hair will be cut off today at 4:15 PM. Hope you're as ready as I am.